The DGS-3630 Series switches provide a complete set of security features including multi-layer Access Control Lists (ACLs) and 802.1X user authentication via TACACS+ and RADIUS. 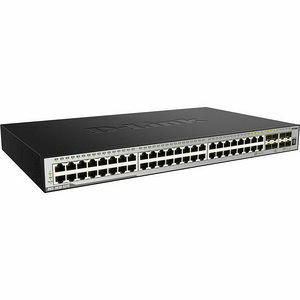 The DGS-3630 switches also offer extensive VLAN support, including GVRP and 802.1Q VLAN to enhance security and performance. A robust set of QoS features help ensure that critical network services such as Voice over IP and video conferencing are given high priority through the network. The D-Link Safeguard Engine increases the switches' reliability, serviceability, and availability by preventing malicious flooding traffic caused by worms or virus attacks.